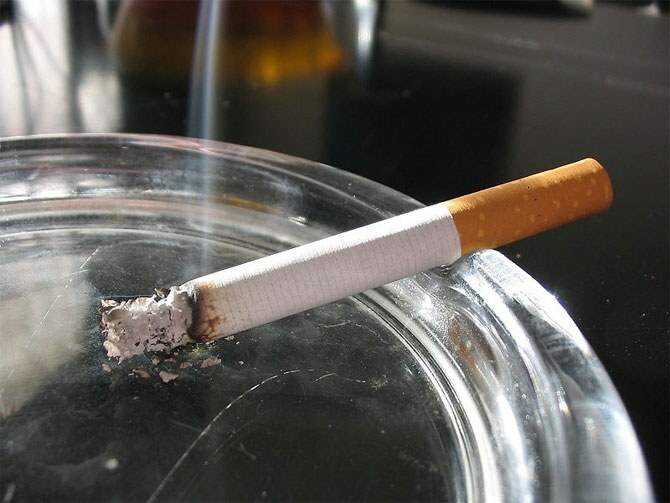 The smell of cigarettes is actually unpleasant to most people, smokers in particular. And get rid of it is not so easy, smoke is able to penetrate the layers of furniture, finishing materials, clothes and hair, soaked through everything. The smell can be a real irritant, to bring irreparable harm to human health. There are some methods that can solve your problem. The first step is to conduct a General cleaning to eliminate the cigarette smell, which has already absorbed into the surface of the furniture. Wash the floors and the plastic surface with water with addition of ammonia or vinegar. Upholstered furniture and mattresses will have to beat. To do this, wet a large flannel cloth in water with the addition of essential oils as follows press and spread on the couch. Gently Pat on top of the rug beater, the cloth will absorb all the dust and particles of cigarette smoke. Periodically rinse the material and go through the whole upholstered furniture. Clean all carpets and rugs special detergent (Vanish) or move outside and take a good RUB with snow. Bed linen and curtains thoroughly wash, rinse with fabric softener. The flooring sprinkle baking soda and leave for a day, then walk around with a damp cloth or vacuum cleaner. Soak in warm water, large bath sheets or towels and hang them on interior doors. Open all the Windows and balconies, thus creating a draft in the house. Damp cloth perfectly absorbs odors. Don't forget to wash all the ashtrays in the room. Light oil burner or incense with the most effective flavor of tobacco smell – pine, citrus, cinnamon. Your girlfriend categorically can not stand the smell of cigarettes out of my mouth. Then eat nutmeg, cloves or one coffee bean. Currently, the pharmacies can purchase a special tool that will help eliminate unpleasant smell not only of tobacco but also of alcohol – "Antipolitsay". Get rid of the smell of cigarettes from your hands will help the slice of lemon that you need to RUB your fingers. Also bad acts, and coffee grounds. Light the Bay leaf and put it in the ashtray, take a walk with her through all the rooms, as if fumigating them. With all the tips and advice, your home will exude only a pleasant flavors. In extremely rare cases will require repair – change Wallpaper and floor coverings, as long-term Smoking the smell of cigarettes is absorbed into the walls, floor and ceiling.